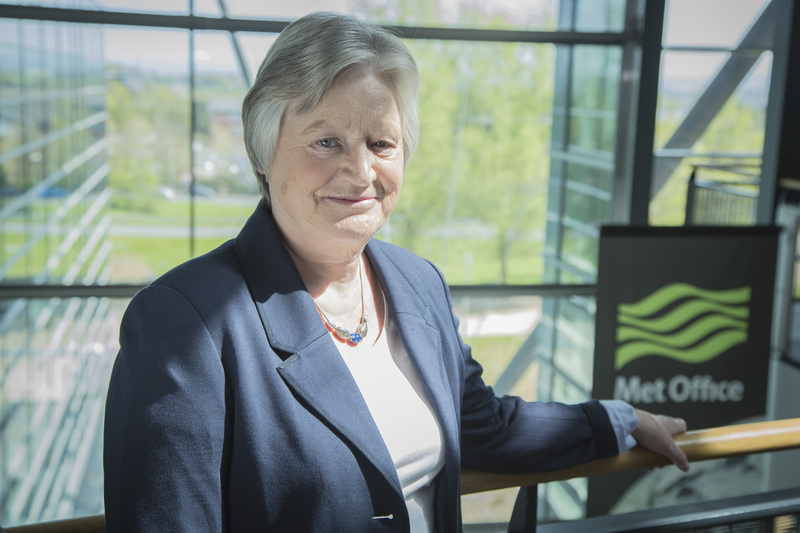 World renowned Met Office Chief Scientist Professor Dame Julia Slingo DBE FRS has been awarded the prestigious International Meteorological Organisation (IMO) Prize. This is the first time, since 1998 that the annual prize, awarded by the World Meteorological Organisation, has been presented to a UK scientist and it is an acknowledgement of her lifetime contribution to world meteorology. Meanwhile three men who collaborate with or support the Met Office have been recognised in this year’s Queen’s Birthday Honours List. Dr Kamal Puri, from the Australian Bureau of Meteorology has been awarded a Public Service Medal (PSM) in the Queen’s Birthday Honours List. The PSM recognises outstanding service by employees of the Australian Government and state. Kamal has worked in numerical weather prediction and earth system modelling in the Bureau for the last four decades. He is a Met Office Science Advisory Council member and has played a key role in development of our Unified Model partnership. In 2007 he helped develop the Australian Community Climate and Earth System Simulator (ACCESS) which has directly contributed to advanced warnings of hazards such as fires, heatwaves, floods and cyclones, saving many lives. DR Rob Vertessy, Director of Meteorology and CEO at the Australian Bureau of Meteorology said: “Kamal’s leadership has enhanced the reputation and standing of Australian weather and climate modelling in national and international circles, and I am sure that you will all agree this award is well-deserved recognition for an exemplary leader and ambassador for the Australian Public Service and the Bureau of Meteorology”. 90 year old Voluntary Weather Observer, Donald Grant, has been awarded the British Empire Medal (BEM) for services to Meteorology after supplying weather readings to the Met Office for the past 30 years from his weather station in Dunbar, East Lothian. Finally Professor Chris Budd from the University of Bath has been awarded an OBE for services to science and maths education. He works closely with the Met Office helping improve weather forecasting accuracy and he co-founded an international network bringing together mathematicians working in climate change with policy-makers. This entry was posted in Met Office News and tagged Australian Bureau of Meteorology, award, British Empire Medal, Dame Julia Slingo, International Meteorological Organisation prize, OBE, Public service medal, Queen’s Birthday Honours List, University of Bath, Voluntary Weather Observer, WMO. Bookmark the permalink.